Food is central to many social situations, food shopping, eating out and …..travelling abroad – different strategies needed to avoid allergens in these different setting. Concerns are mainly with peanuts and other nuts. 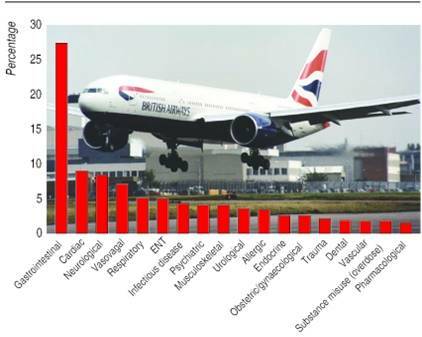 Allergic reactions on an aeroplane are very uncommon. Wiping the surfaces where you are sitting should be sufficient to prevent most allergies. Allergic reaction from breathing in food aerosols is rare. Airlines have no control on what other passengers bring on aboard. Check airline meals – may be better to take own food. Ensure patient has all prescribed in date medication – carry in hand luggage. Carry 2 AAIs as well as anti histamines, inhalers. Practice how to use AAI before hand. Have ‘flight letter’ ready at check in. A template letter can be downloaded by clicking here.